Fighting Saints alumni, hockey veterans and successful investors join organization. The Dubuque Fighting Saints announced today that Saints4Life Acquisitions, LLC, a group led by Fighting Saints alumni and current National Hockey League (NHL) players Johnny Gaudreau and Zemgus Girgensons, NHL executive Peter Luukko, and Stanley Cup champion coach Dan Bylsma, have purchased the equity stake held by Philip Falcone in Northern Lights Hockey, LLC, the Fighting Saints’ ownership entity. Also joining Saints4Life Acquisitions, LLC, is a group of experienced, successful businessmen and investors all with ties to hockey and all having a commitment to help enhance the Dubuque Fighting Saints’ reputation as one of North America’s premier junior hockey organizations. Gaudreau, a Clark Cup champion with the Saints, and USHL Rookie of the Year, was drafted by the Calgary Flames in 2011. A year later, he won the NCAA Championship with Boston College, and went on to win the Hobey Baker Award in his final season at BC. In the NHL, as a member of the Flames, he was a finalist for the Calder Memorial Trophy in 2015, won the Lady Byng Memorial Trophy in 2017, and has been a three-time NHL All-Star. Girgensons, entering his fifth season with the Buffalo Sabres, holds the distinction of being the highest-drafted Dubuque Fighting Saint, and the highest-drafted Latvian player in NHL history. Girgensons was part of the inaugural Fighting Saints team that captured the 2011 Clark Cup, and in his second season, he served as team captain, and was named a USHL All-Star. Prior to, during, and after his time in Dubuque, Girgensons has regularly represented his native country of Latvia in international competitions. Luukko, a hockey industry veteran, brings over 25 years of hockey management experience to the Fighting Saints’ ownership group. Luukko is currently the Executive Chairman of the Florida Panthers and Sunrise Sports & Entertainment, a member of the NHL Board of Governors, and Co-Chairman of the Oak View Group’s Arena Alliance. Previously, he was the President and Chief Operating Officer of Comcast-Spectacor, the ownership group behind the Philadelphia Flyers. In his tenure there, he helped in the establishment of the Wells Fargo Center, the hosting of the 2012 NHL Winter Classic, the 2014 NHL Draft, and many other top events. His son, Nick Luukko, played for the Dubuque Fighting Saints during the inaugural 2010–11 season and won a Clark Cup championship. Bylsma, a Stanley Cup champion coach with the Pittsburgh Penguins in 2009, has an impressive resume as both a player and a coach in the NHL. He holds the NHL record for being the fastest NHL coach to reach 200 wins, and as of the conclusion of the 2016–17 season, holds a record of 320-190-55. With the Penguins, Bylsma helped lead the Penguins to the Stanley Cup Playoffs in all six of his seasons in the Steel City. Bylsma played 429 games as a player in the NHL for the Los Angeles Kings and the Mighty Ducks of Anaheim. The group of co-investors in Saints4Life includes a number of successful investment professionals all with a direct interest in the game of hockey. The group includes Joe Carrabino, a partner at AEA Investors, who had a son that played in the USHL, and for Boston University, and another son who is a rising sophomore defenseman at Northeastern University; Scott Amero, the former Vice Chairman and global Chief Investment Officer for Fixed Income of BlackRock; Brendan Garvey, who lettered in hockey at Wesleyan University, and is the Senior Managing Director of Cerberus Capital Management; John Murphy, the Founding Partner and Chief Executive Officer of JAM Investment Management, LLC, a four year letter-winner at Harvard, and an integral part of the 1989 National Championship team; Brett Barakett, the Founder, Chairman and Chief Executive Officer of Tremblant Capital Group, who plays and coaches hockey in his Connecticut community, and Keith McCullough, who played his collegiate career at Yale, served as captain in his senior year, and is the founder of Hedgeye Risk Management, and also a founding principal, along with Yale teammate Daryl Jones and former NHL player Martin St. Louis at Seven7, a private investment company focused on media, entertainment, and tech. New to the local ownership group is Tim King, M.D., an otolaryngologist with Medical Associates Clinic in Dubuque. King is an avid philanthropist who has recognized the social and personal value of development through youth sports, offering year-round access to hockey as a coach in Dubuque. John Stellato, the former Executive Vice President of The Pritzker Organization, and Peter Chiarelli, the President of Hockey Operations and General Manager of the Edmonton Oilers, continue to remain as part owners of the Dubuque Fighting Saints. Philip Falcone departs as principal owner of the Fighting Saints organization through Northern Lights Hockey, LLC. Falcone served as Director, Chairman, Chief Executive Officer and President of HC2 Holdings, Inc., and was formerly a part owner of the Minnesota Wild. The Fighting Saints returned to USHL play in the brand new Mystique Community Ice Center during the 2010–11 season, winning the Clark Cup in their first year back in the USHL. The Fighting Saints continued their success with a historic season in 2012–13, finishing with a franchise best 45-11-8 record. The team claimed the Anderson Cup as the USHL’s regular season champions for the first time in 30 years, and also earned the Clark Cup for second time in three seasons. In August 2013, the team took the bronze medal while representing the United States at the Junior Club World Cup in Omsk, Russia. The Fighting Saints have reached the Clark Cup Final three times in the past eight seasons, and have made it to the Clark Cup Playoffs for eight consecutive seasons. The club has produced a number of players that moved on to NCAA Division I hockey and has developed several players that have risen to the professional level. A select few have made it to the NHL level, including Johnny Gaudreau, Zemgus Girgensons, Mike Matheson, Matt Benning and Joakim Ryan. The original Fighting Saints competed in the USHL for 21 seasons (1980–2001). The club won the Clark Cup as playoff champions on three occasions (1981, 1983, 1985) under head coach Jack Barzee. One of the most well-known alumni of the original Fighting Saints was Gary Suter, a 17-year NHL veteran, two-time Olympian, Stanley Cup champion, and member of the U.S. Hockey Hall of Fame. 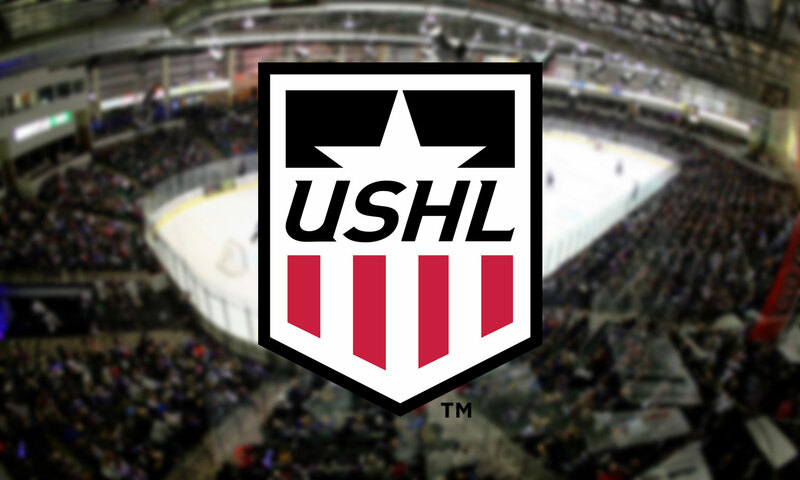 Northern Lights Hockey, LLC, is the entity that owns and operates the USHL organization in Dubuque, Iowa. The owners of Northern Lights Hockey, LLC, collectively provide an extensive background in both hockey and business, and they represent interests on national and local levels. The ownership group is spearheaded by Fighting Saints alumni Johnny Gaudreau and Zemgus Girgensons, longtime hockey executive Peter Luukko, Stanley Cup Champion coach Dan Bylsma, Peter Chiarelli, President of Business Operations and General Manager of the Edmonton Oilers, and Managing Partner Brad Kwong, as well as a distinguished group of successful businessmen and investors. The group also includes local Iowan partners Mark Falb, David S. Field, M.D., and Tim King, M.D. Falb currently serves as the Chairman of the Board and Chief Executive Officer of Westmark Enterprises, Inc., and Kendall/Hunt Publishing Company. Dr. Field has practiced orthopedic surgery for over 30 years,and has been a driving force behind hockey in Dubuque. Dr. King is an otolaryngologist with Medical Associates Clinic in Dubuque, and is an avid philanthropist who has recognized the social and personal value of development through youth sports.